Okay, yes. We love to talk about the magical river valley that we live in, and how stoked we are to be able to raft the Arkansas every single day, all summer long. But truth be told, American Adventure Expeditions is more than just rafting. We’ve got the perfect menu of mountain adventures to fill your day- or your week- once your float trip has ended and you’re looking for a little more fun. Zipline- A genuinely thrilling Eco tour that’ll have both families and adrenaline junkies soaring high above Lost Canyon at speeds up to 40 mph. Experienced guides walk you through pre trip orientation and instruction, and provide all needed equipment. Ziplining might look extreme at first, but it’s surprisingly simple. 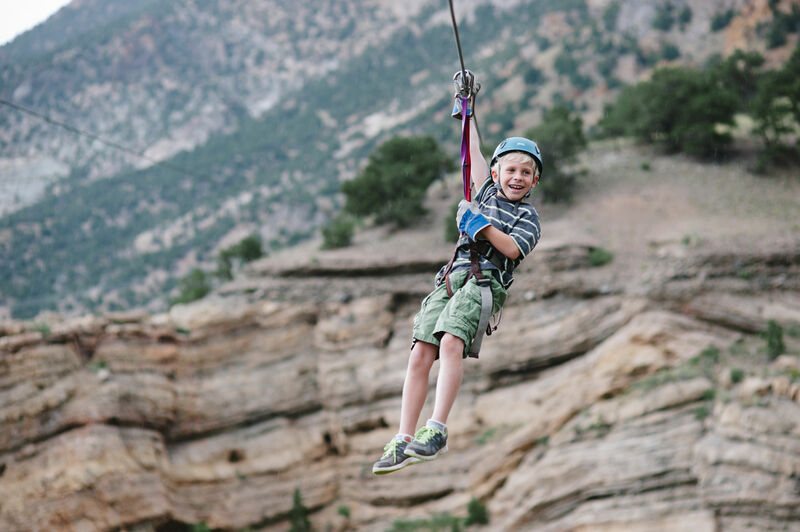 Ages 6 and up are welcome to ride the 7 “zips” at the Captain Zipline Outpost outside Salida- Outside Magaine named it one of the six best Zipline tours in the US. ATV- There aren’t many better ways to take in the panoramic views of the Rockies than from the trail on an all terrain vehicle. All skill levels are welcome on our memorable tours- ranging from gentle and mellow to rocky and technical. Rent a single ATV, side by side, or four passenger and we’ll include an instructor and all the gear you need. Children ages 6 and up are welcome! Combine it with whitewater rafting for an unforgettable day near Texas Creek, 3000 feet above the valley floor. You don’t even need to break a sweat- tell us your interest level and riding ability, and we’ll take care of the rest. 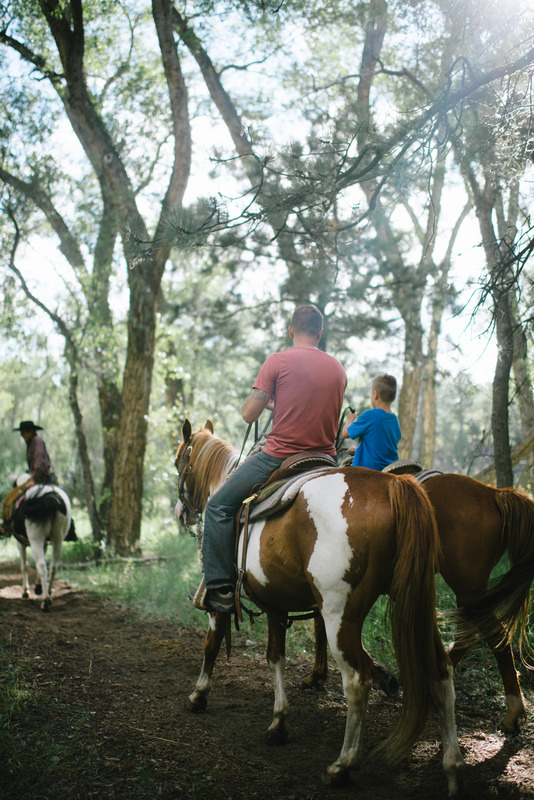 Horseback Riding in the High Country- Take a trip back in time and meander down happy trails seated atop your trusted steed, while being guided by an authentic Colorado wrangler. Choose between views of the magnificent Chalk Cliffs of Mount Princeton or ride near the Royal Gorge in the Sangre De Cristo Range. Rides are available for all levels or abilities and all ages. Mix riding the trails with riding the waves on a raft and enjoy a barbecue style lunch to boot. Mountain Bike Tours- Roll on two wheels in the breathtaking backcountry outside Salida or Buena Vista where your choice of country road, single track or double track jeep roads await you. Skilled and fun loving guides are ready to lead riders ranging in skill level from beginner to expert. We can get you into the wild without getting you in over your head. Helmet, bike and water bottle included on your cruise, whether it’s in town or the trail. Royal Gorge Train Tour- Ride the rails 1,100 feet down inside the gorgeous Royal Gorge granite canyon, alongside the rushing Arkansas river. You’ll ride in comfort and style in a classic 1950’s era train and enjoy open air cars as well as assigned seating. Royal Gorge Bridge- Don’t miss your chance to walk across the highest suspension bridge in the US- this experience along with whitewater rafting are what make this part of the state so popular. Book a raft plus bridge package to link a morning raft trip with a riverside BBQ lunch to tickets to visit the Royal Gorge Bridge and Park. Your entrance ticket includes a gondola ride, petting zoo, and numerous other attractions. Get the best of both worlds- raft our awesome river and then see it from up top. Hot Springs Soaking- Mount Princeton Hot Springs Resort’s 30 individual creekside pools are just what the body needs after a fun-filled, adventurous day outside. Float the lazy river in the upper pool or shoot down the 400-foot water slide while having a blast with your kiddos (or grown up friends!) and find your smile again. Water temps range from 75-105 degrees throughout the resort. Discounted tickets are available at our AAE Buena Vista Rafting Outpost, or incorporate a raft trip with a soak for an all day experience and take in the best of Colorado’s waters.